Regardless of the type and length of your hair, investing in a high quality blow dryer is going to benefit you on many levels. Many people are very particular about how their hair looks, so having a good quality blow dryer can make a big difference in the look of your hair. The three top choices we have featured here top the list in performance, power, features and durability. We compared the top 20 blow dryers against each other in these different categories and they beat the competition out in all of them. Customers prefer these three models over others because they provide fantastic hair drying capability along with durability and a wide variety of extra features. The blow dryers on the market today have all kinds of features and capabilities from drying 80% faster than standard dryers, to adding incredible shine and smoothness to your hair. Whatever your reason is to purchase a blow dryer, make sure that you get the best dryer you can for the amount of money you have to spend. You will not regret taking the time to read these reviews and buyer’s guide so you can choose a great product that you will use for a long time. This 1900 watt blow dryer is very unique in design with a rubberized finish that feels great in your hand. Because of the comfortable grip, it reduces stress on the hand and wrist which is terrific for professional hairdressers that work with people’s hair all day long. The Babyliss Pro Tourmaline Titanium 3000 has special technology that emits millions of ions that produce unbelievable shine. The far-infrared heat dries and styles your hair faster which means less time that heat is directed onto the hair shaft. Less drying time means healthier hair. The Babyliss has 6 different heat and speed setting, a cold shot button that blasts your hairstyle into place and a convenient 9 ft long cord. The extremely lightweight, sleek and stylish professional grade blow dryer comes with a limited 24 month warranty. 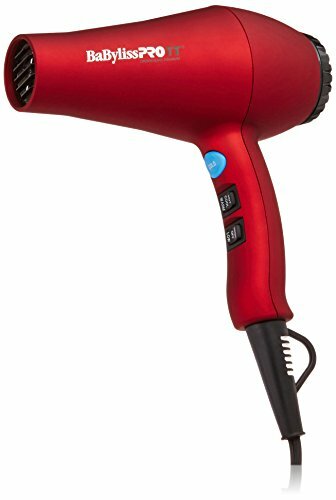 This hair dryer provides plenty of salon quality features for users whether they are professional hair stylists or just taking care of their own hair at home. 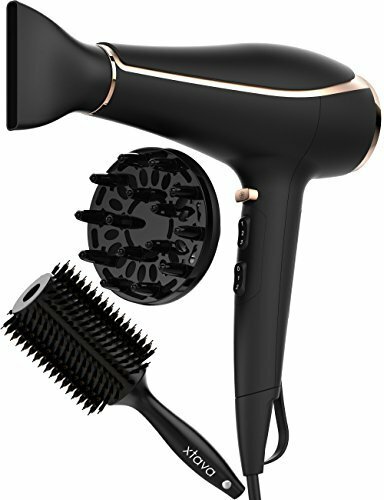 This T Studio Salon Collection, Pearl Ceramic Professional AC Hair Dryer has a professional grade motor that is boosted by ceramic pearl technology. The salon-grade motor works fast to help seal the cuticle and delivers plenty of shine. There are t here ceramic heat settings, dual speeds and a host of included styling tools that help you create a bunch of professional looking hair styles right in your own home. The ceramic technology helps the hair dryer stay consistent without annoying fluctuations. The special patent-pending ceramic is infused with crushed pearls that are activated by heated airflow and then transferred to your hair during the drying process. It seals the cuticles and leaves you with soft, silky hair that has a sheen of nourishment. You can expect a 40% faster drying time than regular blow dryers. 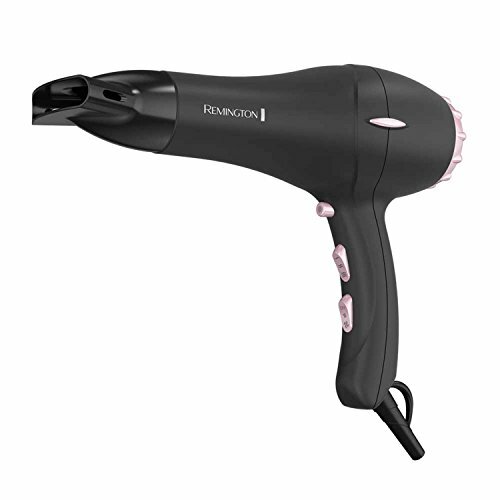 Another benefit to the Remington Ceramic Pearl is that it is very durable and will last up to three times longer than other standard blow dryers. This will save you money over the long run as well because you are not going to have to replace your blow dryer every year or more. Users get a four year warranty that protects against manufacturer’s defects. Xtava’s best selling hair dryer, Iconic, will help you style your hair like a pro. The lightweight frame has the latest ionic ceramic technology that makes drying and styling your hair effortless. The proprietary xtava technology works by dissipating the water molecules quickly and efficiently. The negative ions are used to seal and smooth the cuticle so you don’t end up with a frizzy look. The concentrator nozzle gives you the same salon-worthy results that you could get from a professional, right in your own home, 80% faster than other blow dryers. This sleek blow dryer has a powerful 1800w professional level motor that helps users build body and shine easily thanks to the two speed settings and three temperature levels that will work for all hair types. The unique concentrator nozzle allows users to release a shot of cold air that sets your hair style and gets rid of frizz. Many people use a blow dryer every day to style and dry their hair. If you need to dry your hair quickly and style it with very little effort, a blow dryer is exactly what you need. There is a large selection of blow dryers on the market from standard designs to the more high-tech, professional models. They have many different features that allow people to style their hair while it is drying. The result is hair salon quality hair styles without the cost of going to a salon. The three top choices we have featured here top the list in performance, power, features and durability. We compared the top 20 blow dryers against each other in these different categories and they beat the competition out in all of them. Customers prefer these three models over others because they provide fantastic hair drying capability along with durability and a wide variety of extra features. Continue reading our buyer’s guide below to learn even more about choosing the right blow dryer for your needs. With the right information, sorting through all of the choices is much easier and you can make an informed decision on the blow dryer that will fit all of your needs and preferences. What is a Blow Dryer? There are several things that you need to consider before you purchase a blow dryer. These points below will help steer you in the right direction of the blow dryer that will work the best for what you need. Hair type – Depending on the hair type you have, different levels of heat will be better suited for particular types of hair. Thick hair needs stronger heat, but strong heat can damage thin or fine hair. If you want to set curls or dry your bangs, a lower-powered setting is the best so you don’t frizz the curls or your bangs. Cool shot features are showing up in a lot of newer, more professional models which provide a burst of cold air that sets and smoothes hairstyles and prevents that frizzy, over dried look. Noise Level – The quality of the blow dryer you purchase will have a bearing on how loud it is. Contrary to popular belief, professional grade blow dryers are actually quieter than cheap ones. You don’t want a blow dryer that is so loud it wakes everyone in the house when you turn it on. Look to the reviews and decibel readings to determine how loud the blow dryer is that you are considering. Arm Strength – The stronger your upper body is, the less important it is for you to find a lightweight blow dryer. Another determining factor is the length and thickness of your hair. If you have hair that dries quickly, you won’t have to have your arms up in the air for an extended period of time and blow dryer weight isn’t that much of an issue. If your hair is thick and long, you may want a dryer that is easy to hold and that weighs as little as possible. Travel Capability – Do you travel a lot? Although nicer hotels have blow dryers as a standard part of their rooms, many people prefer bringing their own hair styling equipment. Therefore if you are on the road a lot you may want to look at the blow dryers that take up less room. A lot of the professional models are quite small and would fit into a carryon bag or luggage easily. Attachments – Blow dryers may or may not come with different attachments that provide additional styling aides. Two of the most common attachments are the diffuser and the concentrator. Concentrators focus the airflow in one spot and are very useful for straight hairstyles. The concentrator is very popular with the cold shot features that many hair dryers have now which is the ability to blast a cold burst of air on the hair style to smooth and de-frizz it. Diffusers spread the air out which is great for blow drying special hairstyles. There are both standard and professional blow dryers available on the market today. Even though retail or standard blow dryers are targeted toward the person who is doing their own hair, you may find out quickly that a professional grade blow dryer is a much better investment and will produce much better results as well. Some positives about standard blow dryers include that they are usually lower priced than most professional blow dryers, they tend to be lighter in weight, easier to handle and on average have about 500 hours of working life. When looking for a blow dryer, the following characteristics are good for ensuring you have purchased a good quality product. Short drying time – A powerful motor means increased airflow. That will result in shorter drying time which is much better for your hair. The less time you have hot air blowing on your hair the healthier your hair will be. Gentle Infrared Heat – The blow dryers that have ceramic and tourmaline produce infrared heat that is less damaging to the hair and makes the hair shinier. Cool Shot – When your hair is almost dry, switching to the cool shot feature seals the cuticle. This will give you long-lasting hold and lots of shine. Multiple Settings- High quality blow dryers offer adjustments for speed and heat level. Lightweight – If you are a professional hair stylist or you have long, thick hair, you will probably want to look for a dryer that is lighter in weight so your arms don’t tire out. Using the information and tips below, you can provide yourself with the right knowledge to buy the best blow dryer you can get for your budget and needs. What are Your Hair Needs? – There are different types of hair so it stands to reason that not all hair needs the same care. Start by identifying your hair texture. That will range from thin to thick, and then straight, wavy or curly. More than likely you already know what your hair texture is but if not, this is easy enough to figure out with some online resources. Also pay attention to the length of your hair. Long hair will need different care than short, etc. The last thing to know in this category is what type of styling you want. Do you just want to dry your hair or are you looking to style it in specific ways? What is Your Budget? – The range of prices that a blow dryer can have goes anywhere from a few dollars for a super cheap model to over $100 for a high quality professional blow dryer. You should determine a budget that you want to spend so you can narrow down the choices and eliminate off the top, the ones that don’t fit into your budget. If you only use a hair dryer once in a great while for special occasions, you will not need to spend as much on it as you will want to for one you use every day. There are many different features that can be offered in a good quality blow dryer. Learn about all of the features that a blow dryer may have to determine which ones you are interested in. Ceramic – Adds plenty of shine while making sure the hair doesn’t frizz and get damaged. This feature works for all hair types. Ionic Technology – Negative ions decrease the amount of time it takes to dry the hair and smoothes it as well. This feature is also great for all hair types. Tourmaline – This feature intensifies the ionic technology and adds even more shine to the hair. Works for all hair types. Cool Shot – The cool shot feature sets the style and adds shine to your hair. Perfect for all hair types. High Airflow – Spend less time drying thick hair with the high air flow feature. This is designed for thick or coarse hair that takes a long time to dry. Multiple Heat Settings – Usually 3 or 6 different heat settings that can work for thin or coarse hair. The higher heat settings work for the coarse hair and the lower settings for thin or fine hair. Multiple Speed Settings – Using the lowest settings prevent damage to fine or thin hair. Diffuser – A diffuser distributes the heat without messing up the hair style that you are creating. It’s great for drying naturally curly hair also and keeps the curl smooth and intact. Concentrator – This is similar to a diffuser in that it directs the airflow but a concentrator focuses all the air towards one place while the diffuser spreads it out. Comb Attachments – Many models of blow dryers have comb attachments that can be put on the end of the dryer to comb and dry the hair at the same time. Swivel Cord – Cords can be bothersome to wind up and take care of. A swivel cord doesn’t get in the way when you are using the blow dryer. Auto Shut-Off – When you put the blow dryer down, the auto shut off will stop the dryer from running and then it will resume again when it is picked up. This is great for stylists that need to frequently put down their appliances to make trims and changes in the hair style. Blow dryers are very useful hair appliances when you have to get your hair dried quickly or if you want to create different hair styles. There is a large array of styles and choices of blow dryers on the market today. Sorting through all of them, trying to find the right one for your needs can feel overwhelming and result in guesswork if you are not knowledgeable about their features and what those features offer. The information in this buyer’s guide will enable you to choose the best blow dryer you csn afford that will meet all of the requirements you have when it comes to drying and styling your hair.